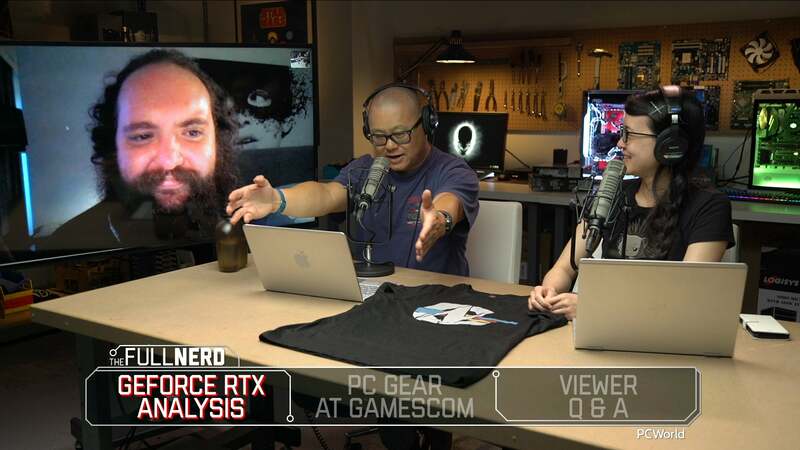 Join Gordon, Alaina, and Adam while we watch Nvidia's live stream introducing the GeForce RTX 2070, 2080, and 2080 Ti. We also have a fun bingo game to play! GeForce RTX 2080 and RTX 2080 Ti: Why double the fun? The wait is over, friends. 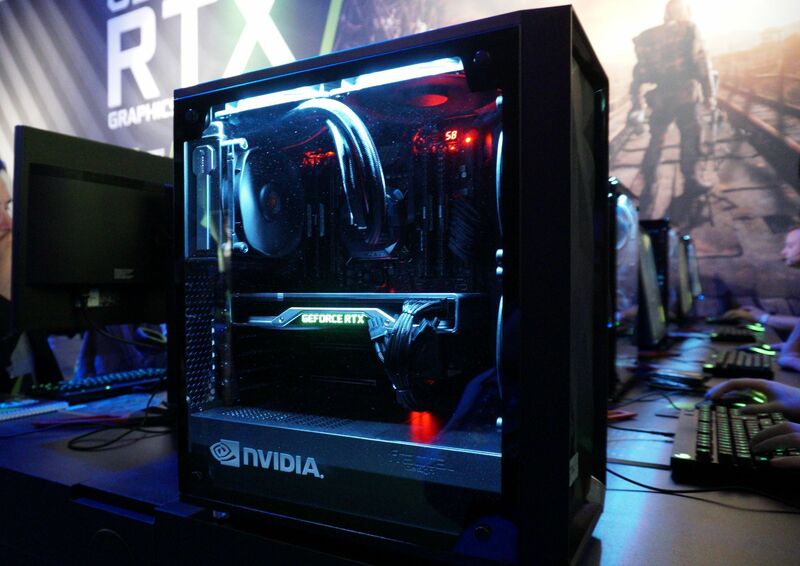 After a week of rampant rumors and outright teasing by Nvidia itself, CEO Jensen Huang proudly revealed the long-awaited GeForce RTX 2080 and GeForce RTX 2080 Ti, powered by the company’s radical next-gen Turing GPU, at an event on Monday, August 20 ahead of Gamescom in Cologne, Germany. These graphics cards look like beasts, infused with dedicated tensor and RT cores to accelerate real-time ray tracing, the Holy Grail of gaming graphics, and enough visual firepower to feed 4K G-Sync HDR displays, the Holy Grail of gaming monitors. They’re equipped with a cutting-edge VirtualLink VR connection, too, and a speedier SLI connection called NVLink. The $999 GeForce RTX 2080 Ti Founders Edition blows past the GTX 1080 Ti, and the $699 GeForce RTX 2080 far outpaces the previous-gen flagship in real-time ray tracing operations. That makes them among the first consumer GPUs capable of keeping up with Nvidia’s beastly new $2,000 4K G-Sync HDR monitors, the Acer Predator X27Remove non-product link and Asus ROG Swift PG27UQRemove non-product link, without begging for mercy—albeit at a hefty price. Previously, only the GTX 1080 Ti and swanky Titan-class hardware could feed the ravenous displays. Nvidia also announced a $499 GeForce RTX 2070. These boundary-pushing graphics cards are built for the future of gaming, today—but with expensive prices that’ll keep you saving your pennies for a while, too. Let’s dig in! This article originally published on August 20, 2018, but has been updated to include links to additional information revealed after the announcement event, including a list of custom RTX graphics cards available to preorder and the initial games supporting Nvidia's new technology. Full disclosure: Because Nvidia would provide GeForce information only via an in-person briefing in Cologne, Germany, with no alternative venue in the United States or by virtual means, we accepted the company’s offer to pay for my flight and hotel in order to get the story. By comparison, the older GTX 1080 Ti features 3,584 CUDA cores with up to a 1,600MHz boost clock. The GeForce RTX 2080 Ti and RTX 2080 are built on TSMC’s 12nm manufacturing process, an optimization of the previous generation’s 16nm, and should see some performance benefits as a result. That GeForce RTX 2080 Ti looks like a performance monster—and it should at that price! It’s interesting that the GeForce RTX 2080 bears significantly fewer CUDA cores than the GTX 1080 Ti, and only 400 or so more than the older GTX 1080. Even with the benefits of 12nm and a restructured streaming multiprocessor architecture, the RTX 2080 might not outpunch the GTX 1080 Ti by much in games using the traditional rasterization rendering technology alone. Update: Nvidia says the GeForce RTX 2080 will be 50 percent faster than the GTX 1080 in traditional games. That covers, er, pretty much all games right now, though Nvidia said Battlefield V, Metro Exodus and Shadow of the Tomb Raider will be among the first games to bake in support for ray tracing. If ray tracing gets popular, the dedicated RT hardware inside newer RTX 2080 cards would give them a big leg up over the GTX 1080 Ti’s performance. Either way, this Battlefield V ray tracing trailer looks stunning. The last-gen GTX 1080 Ti also featured 11GB of RAM, but of the older GDDR5X variety, hitting a total memory bandwidth of 484GBps. The fact that the RTX 2080 Ti hits 616GBps with a similarly-sized memory bus shows the speed advantage of GDDR6 RAM. These are the first consumer graphics cards equipped with it. Nvidia designed a new cooling system to tame all the cores—the first dual fan, non-blower-style cooler in its history, and one that Nvidia says is engineered for maximum overclocks. Fully cranked, CEO Jensen Huang says the card puts out one-fifth of the audio output of the GTX 1080. To that end, Nvidia is selling its premium Founders Edition cards with overclocks out of the box this time around, rather than stock speeds—another first. The price surely grew, however, and Nvidia’s own Founders Edition cards sell for a higher premium than ever as a result. While the GTX 1080 cost $600 at launch, or $700 for a Founders Edition version from Nvidia, the RTX 2080 Founders Edition costs a staggering $699, or $799 for a Founders Edition. And the RTX 2080 Ti Founders Edition rockets past the $1,000 barrier all the way to $1,199, with prices for non-Founders cards staring at $999. The GTX 1080 Ti cost $700 by comparison. Sweet holy moly. Both the GeForce RTX 2080 Ti and GeForce RTX 2080 are available to preorder on Nvidia’s website now, with an estimated ship date of September 20. 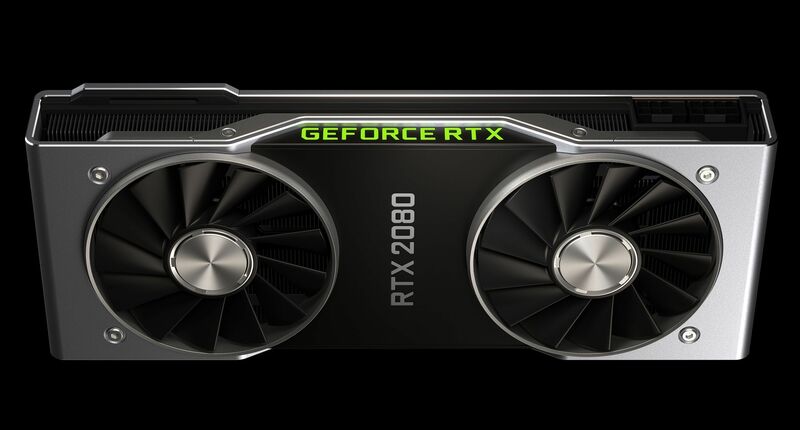 Nvidia also revealed the GeForce RTX 2070, though at $499 reference price or $599 for a Founders Edition, it costs as much as a last-gen GTX 1080 despite having 256 fewer CUDA cores. Nvidia’s CEO claims it should be faster than a GTX 1080 Ti, though that claim is tied to games running ray tracing operations—it’s likely not nearly as fast as the GTX 1080 Ti in traditional rasterized games. Here are the specs, though Nvidia hasn’t revealed a release date. 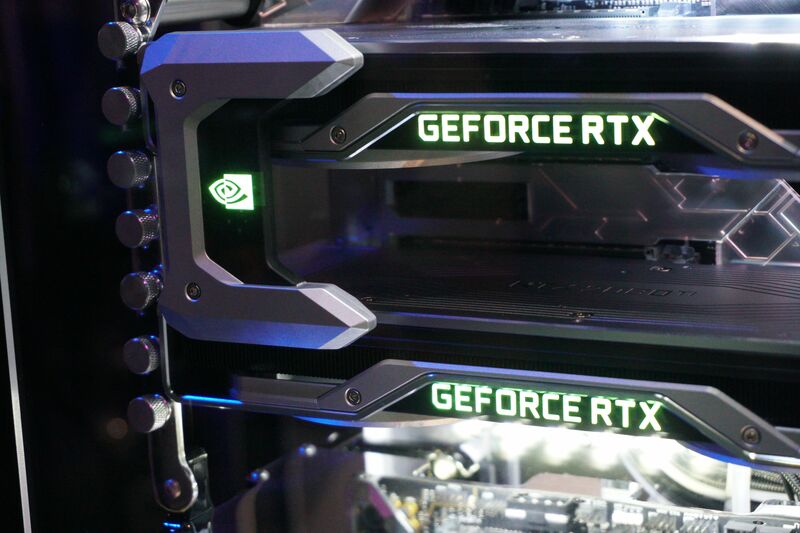 Over a dozen custom GeForce RTX 2080 and RTX 2080 Ti cards are available to preorder, and we saw several of them in the flesh at Gamescom 2018. Now let’s talk about what’s deep inside these graphics cards. Nvidia’s Turing GPU, as shown during the Quadro RTX announcement. But the real secret sauce is what gives the GeForce RTX 2080 and RTX 2080 Ti their names. The gaming industry’s finally pushing towards the graphics Holy Grail, real-time ray tracing. 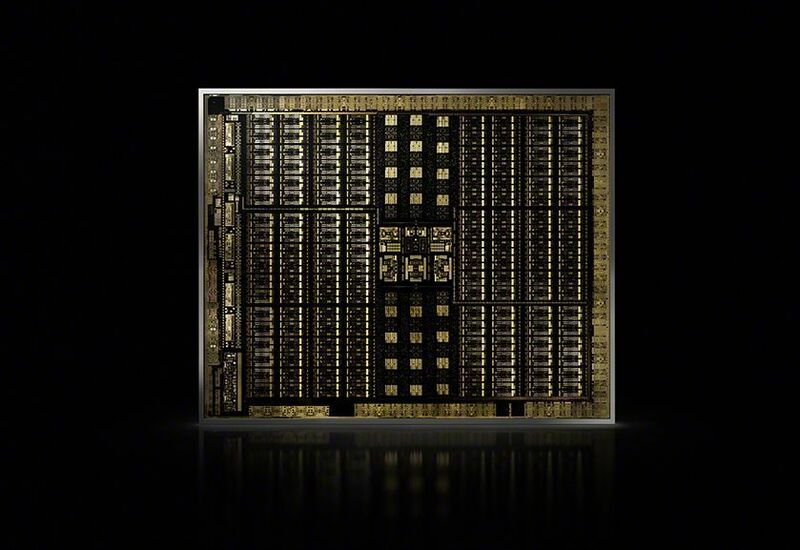 These Turing GPUs include dedicated RT cores, augmented by AI-boosting tensor cores that let can help identify potential errors or missing information during the ray tracing process. That lets the GeForce RTX 2080 pair process ray tracing far, far faster than their predecessors could. Nvidia claimed that a single Turing GPU could render the Star Wars demo below more than 8X faster than a GTX 1080 Ti. That’s a substantial and necessary improvement, considering that ray tracing demos Nvidia showed earlier this year required multiple high-end Titan V cards to run, and not very smoothly at that. Don’t consider ray tracing alone a reason to upgrade to a fresh graphics card yet, though. Getting developers to embrace new graphics technologies can take time (just ask DirectX 12). But again, Nvidia revealed that Metro Exodus and Shadow of the Tomb Raider will include ray tracing, as well as Hitman 2, Asseto Corsa, and many other games. 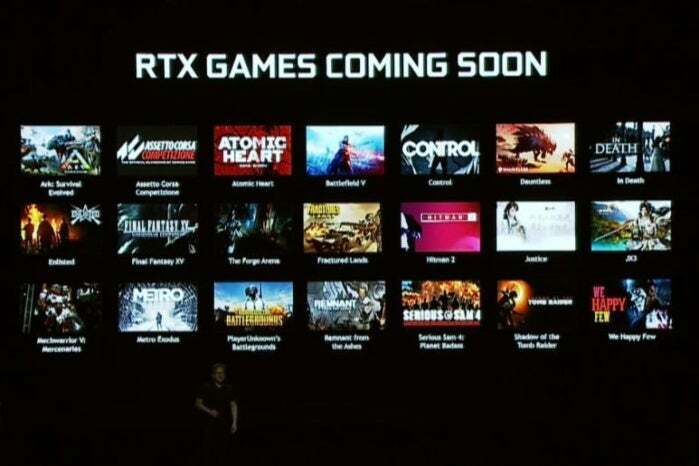 Here’s a list of every game that will support Nvidia’s RTX technology. The GeForce RTX 2080 and 2080 Ti also blaze a path for several connection technologies. First up: VirtualLink, a new USB-C alternate-mode standard that contains all the video, audio, and data connections necessary to power a virtual reality headset. It’s backed by a consortium of PC heavy-hitters, including Oculus, Valve, AMD, Microsoft, and of course, Nvidia. That tiny USB-C connection on the far end is the VirtualLink port. The new graphics cards also include HDMI 2.0b and DisplayPort 1.4, the latest versions of the ubiquitous connection technologies—and the ones you want powering one of those face-melting G-Sync HDR monitors. Previous-gen GTX 10-series cards shipped DisplayPort 1.4-“ready,” but those required a firmware update to activate the capabilities. Finally, the GeForce RTX 2080 and 2080 Ti bring Nvidia’s high-speed NVLink interface to consumer graphics cards. NVLink appeared only in high-performance data center GPUs previously. It delivers far, far more bandwidth than standard SLI, and its inclusion is likely a necessity at this point in GeForce’s evolution. Running multiple GeForce RTX 2080 Ti cards in SLI will require moving a whole lot of information very quickly. Expect SLI support to remain limited to two graphics cards in games, though, even with the faster NVLink connection. The adapter costs $79. This is the first time that Nvidia has launched the “Ti” and non-“Ti” versions of xx80-series flagships simultaneously. Previous iterations of the xx80 Ti launched a full two or three quarters after the non-Ti xx80 card. That’s interesting for a few reasons. Last generation, the lower-tier GTX 1070 managed to out-perform the previous 980 Ti flagship. On paper, the RTX 2080 barely seems to surpass the GTX 1080 Ti this time around. Is the coordinated launch necessary to get the hulking GeForce RTX 2080 Ti out there ASAP to satisfy deep-pocketed enthusiasts with a need for speed? We’ll know more about the actual capabilities of these cards when we get our hands on review units. It could also mean we’ll see a refresh of these cards far quicker than we did with the 2.5-year gap between the GTX 10- and 20-series. Nvidia rival AMD is already sampling 7nm Radeon Vega GPUs to customers in data center form, ahead of a launch later this year. We could very well see new consumer graphics cards built on AMD’s next-gen Navi GPU architecture at 7nm next year. Given how competitive Nvidia is, I doubt the company would let AMD claim the process lead for long. Maybe we got the 12nm GeForce RTX 2080 Ti early to clear the decks for a response to AMD sometime in 2019. These are GPUs like you’ve never seen before, and the $1,179 GeForce RTX 2080 Ti looks outright ferocious—the perfect match for the new wave of drop-dead gorgeous G-Sync HDR monitors that push 4K panels roaring past 60Hz all the way to 144Hz. Those prices though! You have to wonder if gamers will balk at paying so much. 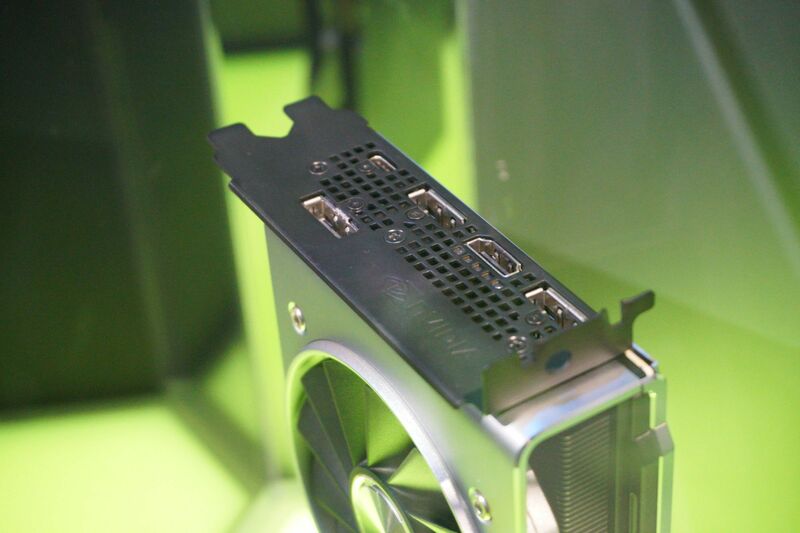 Nvidia’s new graphics cards launch on September 20. You can preorder several custom GeForce RTX 2080 and RTX 2080 Ti models now if you want, though we always counsel waiting for reviews before buying. Stay tuned for reviews of Nvidia’s new GeForce RTX 2080 graphics cards and the $2000 Acer Predator X27 G-Sync HDR monitorRemove non-product link soon. Hey, nobody ever said pushing the bleeding-edge would be cheap. This story, "Nvidia's GeForce RTX 2080 and RTX 2080 Ti are loaded with boundary-pushing graphics tech" was originally published by PCWorld.